Put others first. Think of others better than yourself (Philippians 2:3). Act the same no matter who you are interacting with. Are you the same person with the one you think can advance your career as you are with the person who can offer you nothing? Don’t compete with others. We all have God-given gifts, talents, and strengths. Don’t begrudge someone for a gift/talent/strength you wish you possessed, but don’t. Show no favoritism (James 2). Treat the person who lives in the run-down trailer on the bad side of town the same as you treat the person who lives in the mansion on the golf course. Be genuine. If you say something, mean it. Avoid trying to impress others because of their social status, wealth, or appearance. Be a person of integrity, both while alone and in the presence of others. Avoid being condescending or a know-it-all. Show compassion and empathy when someone is struggling with a problem. If you yourself have dealt with the same issue, gently share what helped you. (Second Corinthians 1:4). Thanks so much for taking the time to share this post. I appreciate you! 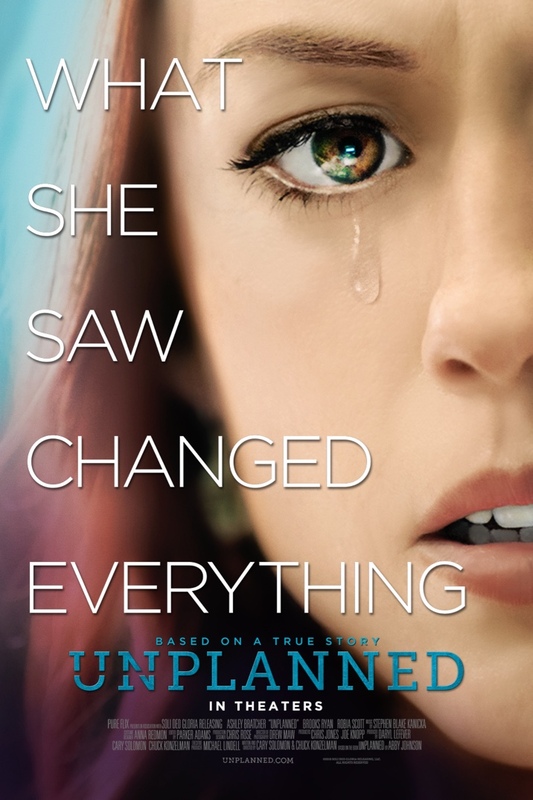 When Unplanned finally came to my small-town theater, I was excited to support this film that was unapologetically pro-life. Based on the true story of former Planned Parenthood Clinic Director, Abby Johnson, Unplanned is a movie that stays with the viewer long after the credits roll. – And when Abby is called into the POC room at the beginning of her tenure at Planned Parenthood and we witness the tiny parts of a baby needing to be reconstructed to be sure the doctor removed all parts during the abortion. Disclaimer: I did avert my eyes during several of those scenes. There is also some minor language throughout the film. Perhaps one of the ironies I discovered with the Unplanned movie is that horror flicks that garner an R rating show disgusting and oftentimes perverse themes. Bloody corpses, zombies, and the like are commonplace for that genre. (You can probably sense that I am not a horror flick fan and have seen only one in my life as a teen, and one I regret subjecting my eyes to). In contrast, Unplanned shows the reality on film of tiny babies being murdered. It’s truth, not something from someone’s imagination like a horror film. I loved how both Abby’s husband and her parents, while in disagreement over her choice of career, stood by her and prayed for her heart to be changed. Friends she made along the fence outside the clinic did the same. Prayer is powerful, and when God has a plan, nothing and no one can stop it. Perhaps two of the biggest themes in the movie are redemption and forgiveness. Forgiveness not just of others, but of oneself. Abby struggles to forgive herself for her role in contributing to thousands of abortions and for her own abortions. One of the other things I really appreciated about the movie was that it did not condemn women who have had abortions. As I discuss in my blog post the importance of life, a close friend of mine had an abortion years ago. She confided to me that, while she remains pro-choice, not a day goes by that she doesn’t think about her baby and what he or she may be like if she had chosen life. She struggles with forgiving herself. Thankfully, we serve a mighty God, who can forgive us as far as the east is from the west (Psalm 103:12). Abby discovers this in Unplanned, as she, too, has had not one, but two abortions. Is Unplanned difficult to watch? Yes. Is it intense and grisly in parts? Yes. Will it leave you emotional and burdened for the preborn? Yes. Is it a movie for children? NO. Sadly, when we entered the theater, we noticed that several back row seats were filled with little children – some about three or four years old and none older than about seven. While this movie is an important one, it’s not one for children. I honestly cannot state that often enough. It’s not for children. It’s not even for young teens. Due to the graphic nature, this movie’s target audience is older teens and adults. And those older teens should be watching it with their parent(s) and discussing it afterwards. But while this movie isn’t for young teens, it’s important to begin discussing with your children the importance of life. Our girls knew that a baby was a baby from the moment God placed it in a mommy’s tummy. That was our simplest explanation when they were little and discussions were age-appropriate as they grew older. I would highly recommend this movie. But be warned, it will change you. Bring a box of Kleenex and a prayer in your heart. It will leave you with a prayer for people to again someday see the value of life “from womb to tomb,” a prayer for those contemplating abortion that they would choose adoption or to raise the child themselves, and a prayer for those women who have had abortions. That God would heal their broken hearts. You wake in the morning and fling open the curtains to find another beautiful sunshine-filled day. Perhaps you reach for a cup of coffee or head to the shower before tending to your job as a wife, mom, employee, or all of the above. Whatever your plans, be sure to do the following to start your day off right. Drink a glass of water. According to the Livestrong website, there are several benefits of drinking water right after waking. And it’s a great way to start toward your daily hydration. I keep a bottled water on my nightstand for that very reason. Spend time with God. Even before I open my eyes, I spend time in prayer thanking Him for giving me another day and praising Him that everyday His mercies are new. I ask Him to help me to be a blessing to others and then offer my prayer requests to Him. Immersing myself in His Word is my next plan of action. Spend time with your spouse and kids. My husband heads to work before 5:00 a.m., before I wake during the week. However, on the weekends, we spend some time together before embarking on our day. Be sure to eat a healthy breakfast. On Thursday mornings, I teach an early cycling class, so time is more crunched than the rest of the days of the week. However, being sure I get a good breakfast helps start the day off right and gives me energy for daily activities. WebMD has an excellent article detailing why breakfast is so important. Do some gentle stretches. Stretching relieves tension and prepares you for the day. It also helps with circulation. As one with a former ankle injury, I always integrate ankle rotations into my morning stretches as well. (Always check with your doctor before starting any new exercise program). And if you need some fun music to get you going while you are doing stretches, check out Good Morning by Mandisa. So embrace every morning and remember that each day is a gift and a chance to start over! One of the things I love about reviewing movies is that I often come across amazing ones that stick with me long after the credits have rolled. Beautifully Broken is one such movie. Three families worlds away face brokenness…and healing. Their lives intersect across the globe during the Rwanda Genocide of 1994. Three fathers face difficulties while attempting to protect their families. One father is on the run with his wife and daughter to escape the massive killings occurring in his beloved country. Another faces a difficult decision that must be made to save his family. And the third, across the ocean in the United States struggles with a wayward daughter and the terrible secret she’s kept hidden from he and his wife. One of the things that struck me most was the reliance on God by William, of the Rwandan Christians and main characters in the movie. As a husband and father, he took his job of loving and protecting his family seriously. He relied on God for his every breath. To see such an amazing display of love and reliance on the Lord was humbling and not something one sees often enough in our country. The movie, based on a true story, offered excellent reminders to fathers and husbands to lead, protect, love, care for, honor, and cherish their families. Another topic that was prevalent in the film was immigration to the United States. I appreciate the way it was done legally and through the proper channels, as intended. Beautifully Broken is a movie of hope. Of redemption. And of forgiveness. Be sure to have a box of Kleenex ready and consider purchasing this movie, rather than streaming it. You’ll want to watch it more than once – yes, it’s that good. I rate Beautifully Broken a five out of five stars. It is appropriate for ages 16 and up due to a couple intense and graphic war scenes, and an assault (not shown). It can be challenging to return to your writing project after an interruption. Our family recently battled the flu and bronchitis. Then my husband had shoulder surgery. Life got busy and hectic as I sought to make up for lost time. Soon, my latest novel and my life as an author took a backseat to “playing catch up”. I knew I needed to get back on track. Have you ever been sidelined from your writing? Below are five ways to jumpstart your writing project. 2. Enlist the help of your family and friends. My oldest daughter, who is also a writer, holds me accountable like no one else. She is the first to ask, “Mom, are you going to get some writing in today?” I do the same for her, and we marvel with each click of the keyboard as we get closer to The End. Seek out family, friends, and fellow writers who will help you keep your mind focused on your writing. 4. Record your word count each day. When my web designer placed a “Novel in Progress” counter on my website, I was super encouraged to watch the percentage of completion rise each time I penned more words. I decided to do a similar counter here on this blog for a couple of different novels. This has definitely held me accountable. Recording your word count doesn’t have to include an app or something fancy. It can be as simple as writing on your calendar (or putting into your phone) how many words you’ve written each day. Be sure to give yourself permission to take a day off here and there to avoid burnout. 5. Take your writing seriously. I had someone ask me what line of work I was in when I first began writing for magazines. “I’m a writer,” I told her. Those who know me know that riding horses is not something I am adept at or even care to do (Someday I’ll share my adventures in horseback riding). Running, power walking, or driving the motorized variety of vehicles is more to my liking. If you don’t write the story or the blog post floating around in your head, who will? And there will never be a better time than the present to begin or to pick up where you left off! According to Webster’s Concise Dictionary, the word “legacy” means anything handed down from the past, as from an ancestor. Several summers ago at my grandpa, Papa’s, funeral, I was asked to write a lifesketch and speech in memory of him. As I began to work on the speech, I was convicted once again of the importance of the legacy we, as parents, leave behind for our children. Papa had so many people who loved him. In writing my speech, I gave a lot of thought to legacies and what they mean. Why is leaving a lasting godly legacy important? What is a Godly legacy? Wow, that’s a powerful statement and something we, as parents, should take very seriously. How can a child find something of God in his or her father? For example, are Daddy’s arms always open whenever there is a problem? Is Daddy a refuge in times of trouble? Is he a shield from the bad day at school or the fight with a best friend? Is Daddy loving, caring, and full of grace? Is he forgiving? Does he put the needs of others first? Is Daddy someone his child can trust? Is he an encourager, is he patient and kind? God is all of these things, and these are just a few of the glimpses of God a child can see in her father. To see such things in her Daddy helps her to see that God is all of those things and more, only to perfection. Parents (and grandparents!) don’t realize how important they are in their children’s lives and this is just another testament to this fact. I can testify as Papa’s granddaughter that I saw him exhibit traits such as being a pillar of strength, protective, loving, and caring. He was a hard worker, provided for his family, and desired justice, yet not revenge. When I consider Papa’s legacy, I am inspired to consider my own legacy that I am building in my children. 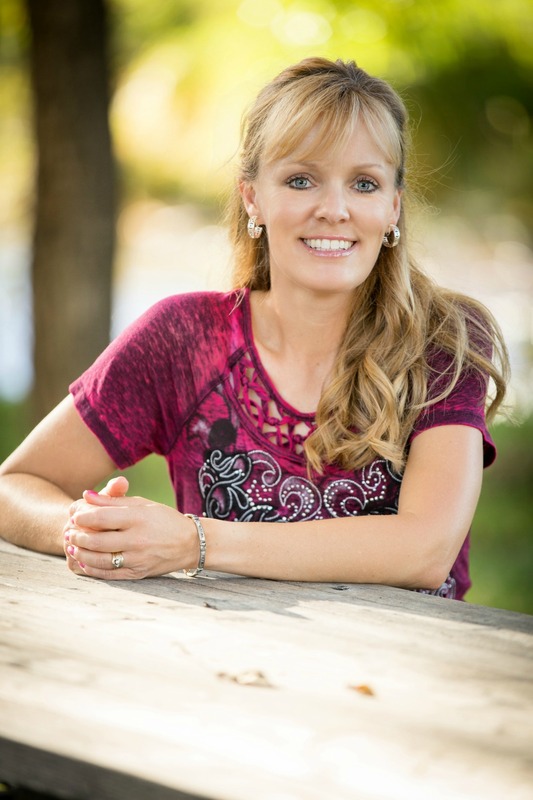 In the song “Legacy” by Nichole Nordeman, she sings about her desire to leave a godly legacy. As a mom, I want my daughters to remember me as someone who was compassionate, loyal, kind, one who loved Jesus above all else, was a faithful prayer warrior, a woman with a servant’s heart, and a fighter for the underdog. Huge steps to fill. I pray I will achieve those lofty goals, but most of all, the eternal goal of sharing with them the priceless gift of our Lord’s sacrificial love. When you reach the end of your life, will you have accepted the grace offered by the Lord Jesus Christ? Will God be saying to you, “Well done, good and faithful servant”? I am thankful for the blessing of Papa and the many years the Lord gave him to us. And I’m thankful for the glimpses of God that we saw in him. Whether we are moms or dads, aunts, uncles, sisters, brothers, cousins, or grandparents, may we all leave behind a legacy that speaks of Christ and His saving grace that lives within us. I was fortunate as a child to have my extended family living nearby. Not only was I blessed to have parents who loved and cared for me, but my aunts, uncles, grandma, and grandpa were also hugely instrumental in my life. As a teen, a dear woman named Marge spoke into my life about the love of Jesus. When we take the time to mentor others, we show them that we care. That we are there through the difficult times, and that we are committed to helping them become the best they can be. Mentoring makes a difference in every life. No matter what our age, if we have someone invested in our lives, it makes an impact for the better. Anyone can be a mentor, but an effective mentor is an encourager, they are available, and they set a good example. Life can be challenging. Mentors see the end result, not the here and now. They help the one they mentor to achieve those goals that are important to him or her. In our church, I have mentors whom I look up to – godly women who are examples in their knowledge (and application!) of God’s Word, the way they love their husbands, and the way they truly care for others. Most of these women are much older than I am. They have life experience and are mature in their faith. My teen daughters and I have had many great discussions about who they would turn to (besides my husband and me) if they were going through a difficult time. Brainstorm with your kids some godly adults that they could call upon if times were tough. Someone they look up to, can be honest with, who will pray for and with them, and who will provide wise counsel. Who has been an important mentor in your life? Welcome to my blog ~ it’s great to have you here! 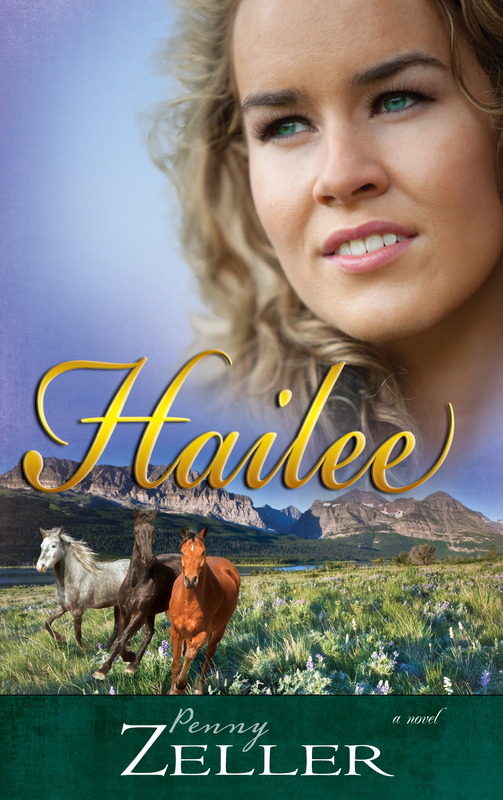 Nine Couples Navigate the Road to Freedom Before the Civil War. 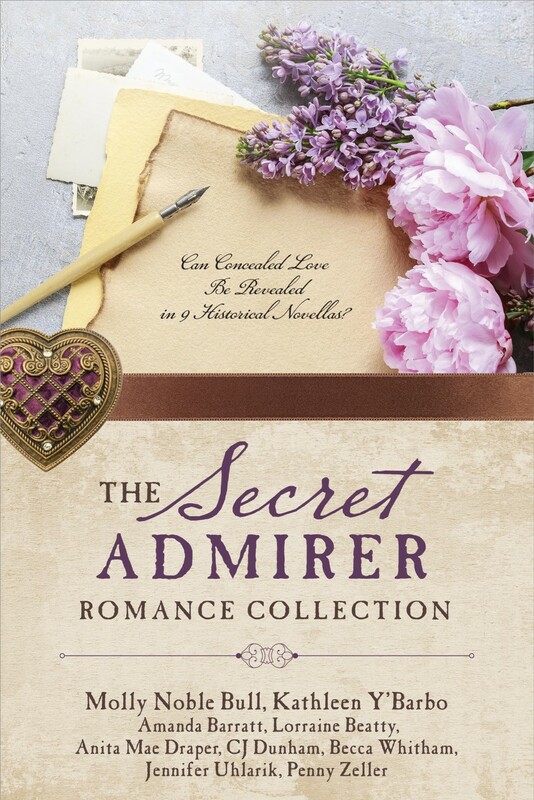 Can Concealed Love Be Revealed in 9 Historical Novellas? 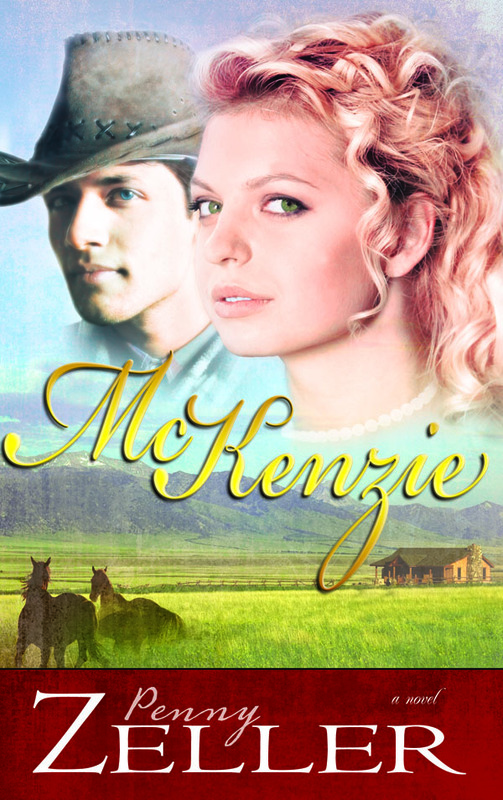 When McKenzie arrives in the Montana Territory with no plans to fall in love, will Zach's persistent kindness and self-sacrifice change her heart? 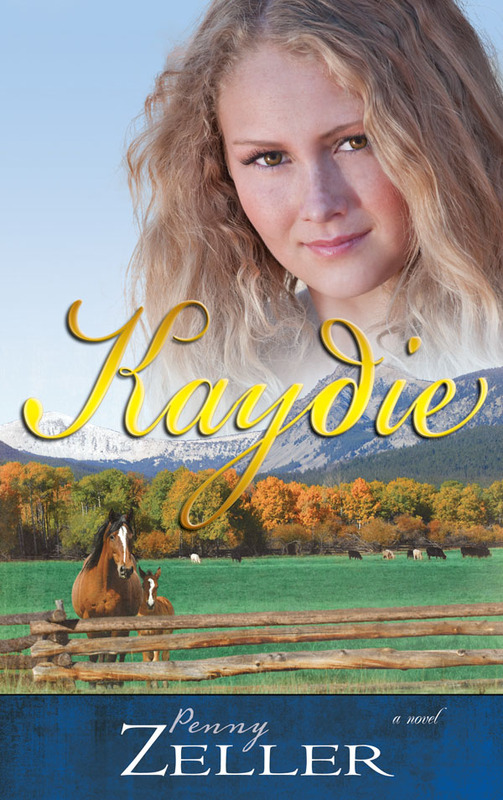 Can Kaydie trust God to guard her heart and her life in the arms of Jonah? Inspire your family to follow Christ's second greatest command - to love their neighbor. Current Novel “Under Construction” (55,000 of 55,000 words) Goal accomplished! Current Novel 85,000 Words Completion Date (85,000 words to date) Goal accomplished!